Item is a watercolour sketch of a costume design for Ballet Jorgen's production of Swan Lake. The costumes are for three women and two men who dance a mazurka. 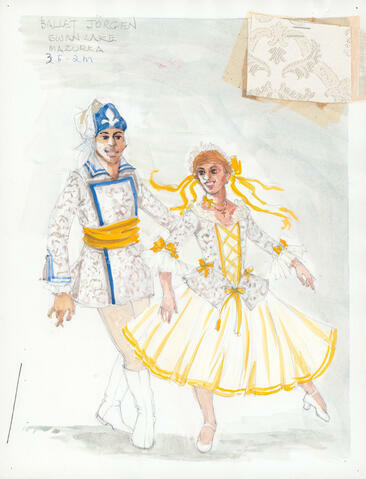 The sketch shows one female figure and one male figure wearing the costumes. Fabric swatches are attached to the sketch.